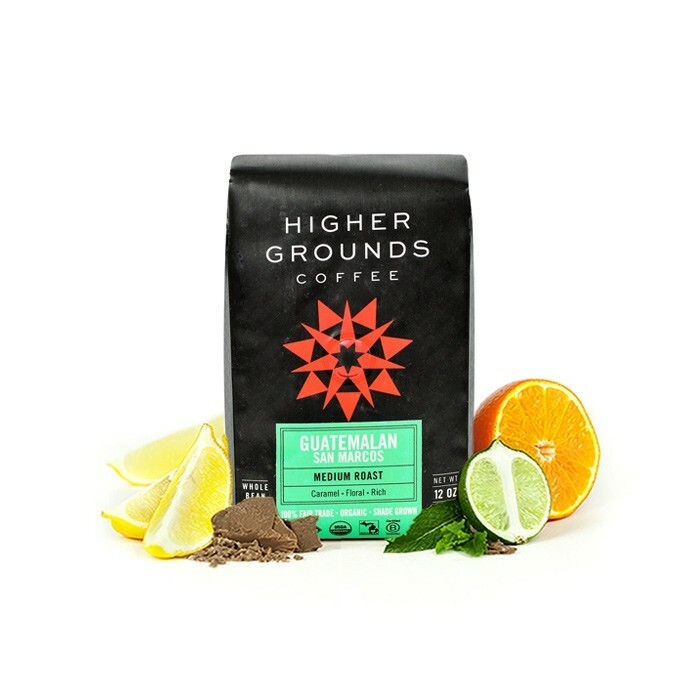 This is the Guatemala San Marcos brought to you by Higher Grounds Coffee. This Fair Trade and Organic certified coffee was sourced from the growing region of San Marcos in Guatemala and was produced by the APECAFORM Cooperative between 1,400 - 1,800 meters. The cup has a fragrant floral aroma with lots of sweetness that we think tastes like caramel and milk chocolate. I really enjoyed this coffee. Great rich flavor and good finish. This one is definitely on the REPEAT list. It was so smooth and mellow, HUGE hit with all my co-workers!! I liked this coffee. I can't say it's my all-time favorite, but it is flavorful and a good pic for me. I hate Guatemalan coffee. Hate. It tastes like cardboard. Tastes like watered down gas station coffee. First time I've been completely disappointed in the amount of flavor from my subscription, rather than just disliked it. Flavors come through randomly and bitter. Doesn't seem to brew fully and stays watery no matter the brew time and grind. Really good, although I had trouble discerning the floral notes. It was a little too roasty and dark nutty for me. Not slot of depth, monotone flavors. I wish their was more sweet notes, more caramel and a syrupy mouthfeel. Excellent coffee and one we don't mind being repeated...just maybe not as frequently as the subsciption is currently sending. (4 of 8) Thanks! Nice balance of caramel flavor and floral/citrus sweetness. We enjoyed this coffee. Could really get the caramel notes. One of the best coffees I've ever had! So smooth, yet flavorful. No bite to it. More like this! First cup (brewed in Chemex, total brew time approx. 3 minutes) was initially somewhat underwhelming. Very smooth/balanced cup and the caramel notes got stronger as the cup cooled. Second cup after dialing in grind and pour speed was very good, caramel flavors were much more prominent and the aroma was very pleasant and I picked up dark cherry. Overall a very good cup of coffee. Really was not able to get much flavor out of this coffee despite trying a variety of grind sizes and water temps. I noticed while grinding that these beans were very soft. I wouldn't say the flavor was bad, but nothing really stood out to me. Just ok.
Not really a fan of the taste, brewed using a Kalita with 25 grams of coffee and 425 grams of water for 4 mins. I like the floral aroma on the nose, but the caramel/chocolate sweetness was not very strong. The roast was also a bit off for me on this one. I don't know that it was too dark, but I missed a lot of the profile that I usually look for. Always had a strong bitter aftertaste when brewed with an aeropress and french press, so the flavors really only shine when brewed as a pour over. I wouldn't get this again. This is an excellent coffee. I love the caramel notes that really popped when flash chilled. It has a rich, velvety mouthfeel. Very nice cup. Easy to brew with a v60 and a lido on the normal grind setting.